Sanitary check valve, also known as "non-return valve", is designed for use in process piping installations to prevent reverse flow. 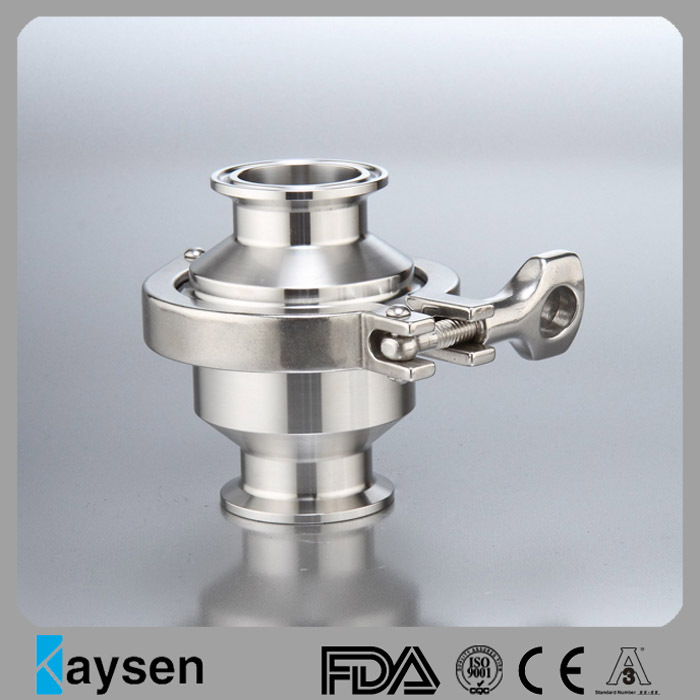 Sanitary Tri Clamp Check Valve is tri-clover connected sanitary check valve. Compare with weld check valve, it is much easier for installation and maintenance. 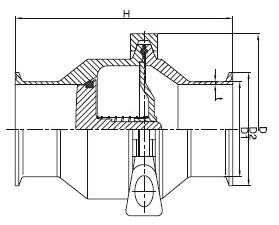 Our tri clamp check valve is two splitted design, the size from 3/4″ to 4″ in stainless steel T316L or T304. 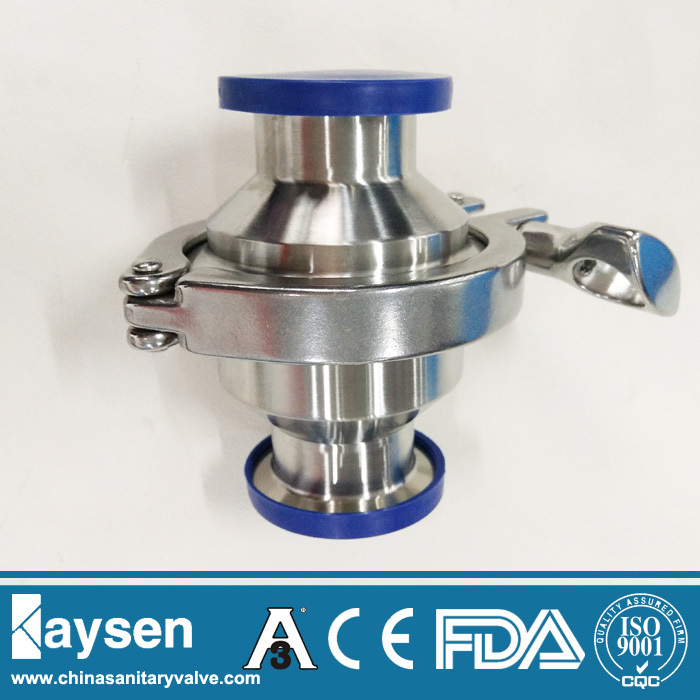 Our Sanitary Check Valves are made in local factory, it is possible to offer a fast delivery and low cost to reduce your purchase budget. It is your idea choice for the application of food,beverage,biopharmacy etc. 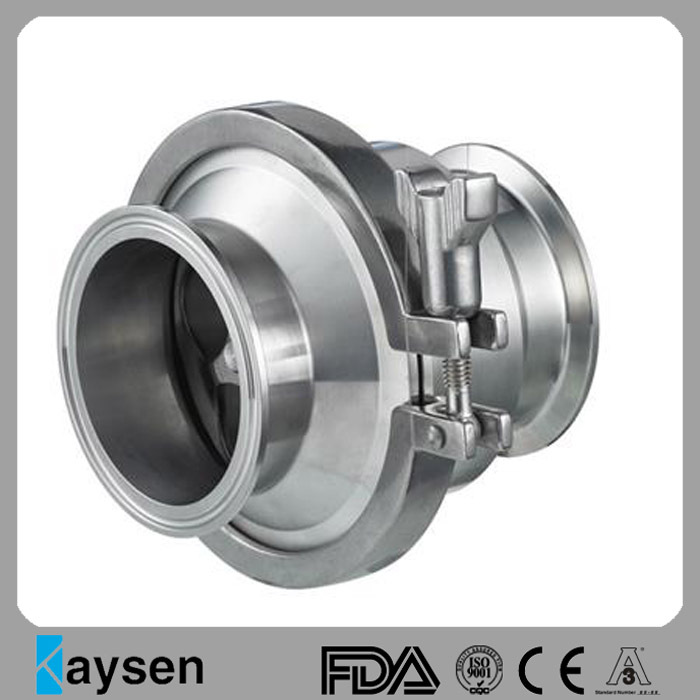 Maybe you like these products.such as Sanitary Ball Valves, Mini Ball Valves, Sanitary Butterfly Valves, Sanitary Check Valves, Sanitary Diaphragm Valves. If you are interested in it ,pls contact me for details. TEMPERATURE: 14 ~ 248°F (-10 ~ 120°C) with EPDM seat. Looking for ideal Tri-Clamp Check Valve Manufacturer & supplier ? We have a wide selection at great prices to help you get creative. All the Sanitary Clamp Check Valve are quality guaranteed. 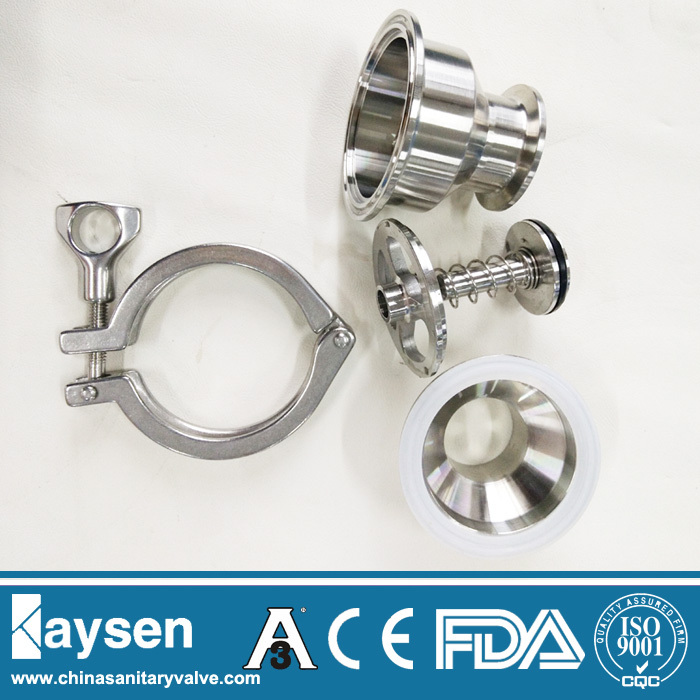 We are China Origin Factory of 3A Sanitary Check Valve. If you have any question, please feel free to contact us.